Traffic and other accidents cause serious and painful problems such as medical treatment expense, compensation money for absence from work, damages for mental suffering and physical impediment (residual disability), etc. You may have following issues mentioned below as examples and we are ready to provide you professional services to solve them. Out-of-court settlement and compensation issue for damages are also discussed. 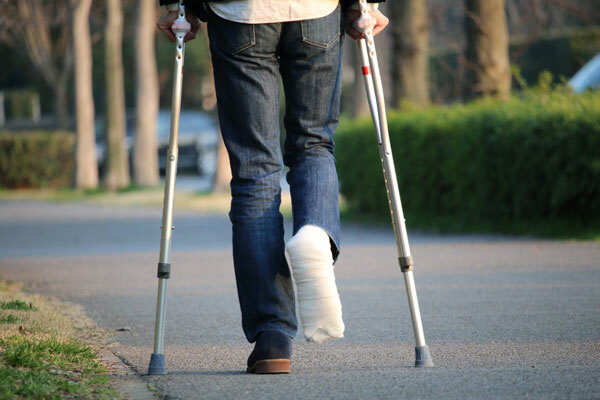 How to obtain adequate sum of compensation from an insurance company? Have received an out-of-court settlement proposal from an insurance company but is it adequate? To confirm whether executing the settlement agreement is adequate as proposed. What would happen if physical impediment (residual disability) remains? Who is responsible for the accident which has not yet been determined? Wish to solve an accident arising from a bicycle or other situation. What can be done, if arrested because of the accident (criminal liability) and others? There are many concerns and problems surrounding traffic accidents and other accidents. We wish to summarize as follows some important points which we would like you to understand so that you may not make a mistake in handling the matter. We would be glad if this website and our consultation will be helpful for you. A conflict between the parties in terms of responsibility of the accident tends to become serious as to which party is responsible and to what extent each party is responsible (comparative negligence or failure ratio). Our law office is ready to assist you in solving such matter in addition to the amount of damage itself. If you do not understand or are not convinced with what the other party says, please do not hesitate to contact us for help. Incidentally the record in a drive recorder can be an effective evidence. In case the assailant is insured by a voluntary insurance, the victim is to demand the assailant’s insurance company for the loss. It is advisable to utilize the professional expertise of a lawyer, since the negotiation with the voluntary insurance company is not easy because they are professional. Particularly the standards of the loss used by voluntary insurance companies are established generally lower than the one by courts and as a result there is a possibility that the victim may receive a lower amount of damages in the out-of-court settlement than the one the victim would be able to recover in the court. The medical treatment expenses are incurred in connection with attending a hospital and/or hospitalization for medical treatment. There may be an issue whether the medical expenses for so-called non western (such as judo therapeutics, massage, hot spring therapeutics, acupuncture, etc.) are compensated. It is necessary to confirm if the insurance company bears such expenses. The attendant (caring) fee by a professional or relative is paid as a loss. Further the future care fee may be paid. Miscellaneous expense of hospitalization are paid on basis of a certain standard, for example 1,500 JPY each day while hospitalized. Generally public transportation expenses are paid, and in some case taxi fare is paid. The compensation for absence from work varies depending upon his or her profession. There is a case that those who do housework or who are out of work currently are also paid the compensation for absence. It is a general practice to pay the consolation money (damages for mental suffering) on a certain standard for the period of hospitalization and attending a hospital. The standards adopted by a court and an insurance company are different in many cases and it is advisable to study the matter carefully. The loss of future profit means the future income which will be no longer be obtained because of death or physical impediment and is considered as the damages. The amount varies depending upon the jobs and extent of the physical impediment. Besides the standards adopted by a court and an insurance company are different in many cases and it is advisable to study the matter carefully. The consolation money (damages for mental suffering) due to death and physical impediment (residual disability) may be demanded in addition to that of hospitalization and attending a hospital mentioned above. Since the standards adopted by a court and an insurance company are different in many cases and it is advisable to study the matter carefully. The repair cost of the damaged vehicle (in some cases appraisal loss and the expense of a replacement vehicle used during the repair) are considered as the damage in case of a traffic accident. In case of a suit to claim compensation for damages in connection with the traffic accident, medical negligence accident or other accident (tort liability). You may wish to seek for the second opinion, though you have consulted with an expert already. Our office is ready to provide you with the second opinion and please feel free to contact us. Recently many collision accidents happen between a bicycle and pedestrian or both bicycles and they can be solved just like traffic accidents. Unlike a vehicle driver it is not mandatory for a cyclist to have a liability insurance. If the cyclist, who caused a traffic accident resulting in death or injury, does not have an optional insurance and cannot afford to make up for the damage, the victim may not be able to receive an appropriate amount of compensation. Besides a serious criminal responsibility may possibly be charged, if not insured adequately. Accordingly, it is recommended that those who ride a bicycle buy a voluntary liability insurance. In accidents other than traffic ones (for example, bodily injury caused by violence/fight, accidents in a shop caused by falling down, etc.) and if it is due to intention or negligence (on the side of the assailant or the manager of the shop), the compensation for damages is calculated in the same manner as the traffic accident and paid to the victim. Even in case of traffic accident the assailant may be arrested and charged criminal responsibility depending upon the type of the accident. If you admit liability for the matter even though you are innocent during the investigation, an irreparable situation may be caused. Our office has expertise in defending a criminal case of the traffic accident. Your use of this site is governed by the laws of Japan and any dispute arising out of or in connection with the use of any information or materials from this website shall be subject to the exclusive jurisdiction of the Tokyo District Court in Japan. Our services shall be provided in Japan only. We do not guarantee any courts or any authorities make decisions same as this website. We do not assume and accept any responsibility or liability regarding this website. © Yamagami International Law Offices.